Students will create a set of one-of-a-kind fused glass candleholders. 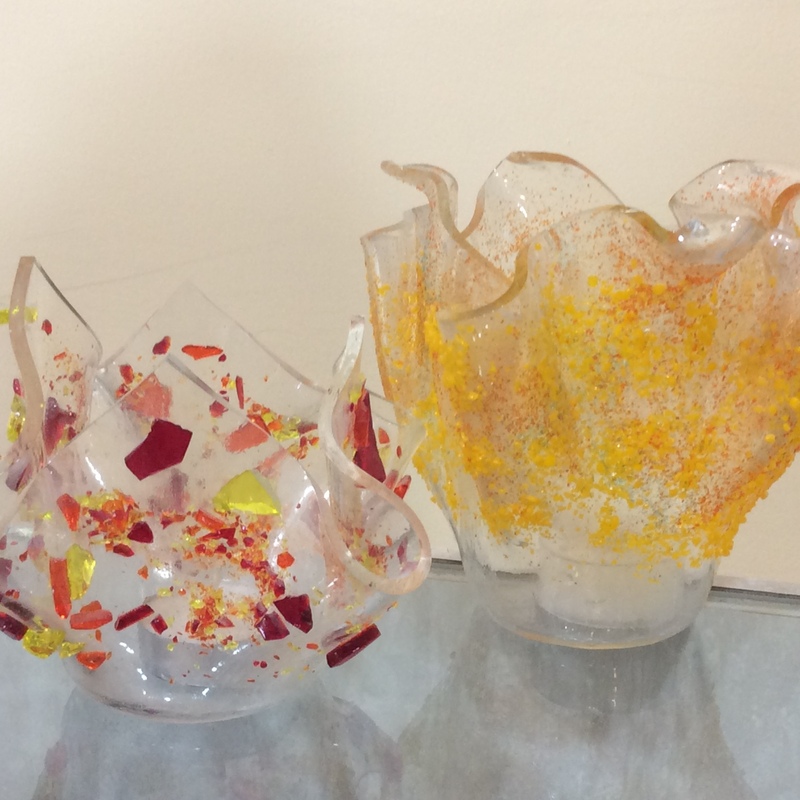 Participants will be provided with an assortment of colourful fusing glass, stringers, noodles, frits, etc. 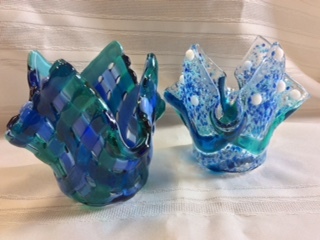 to design and create their own unique pieces of glass that will be fired twice: first to “fuse” their creation and secondly to “slump” their glass over a mold to shape it into a candleholder (or vase).